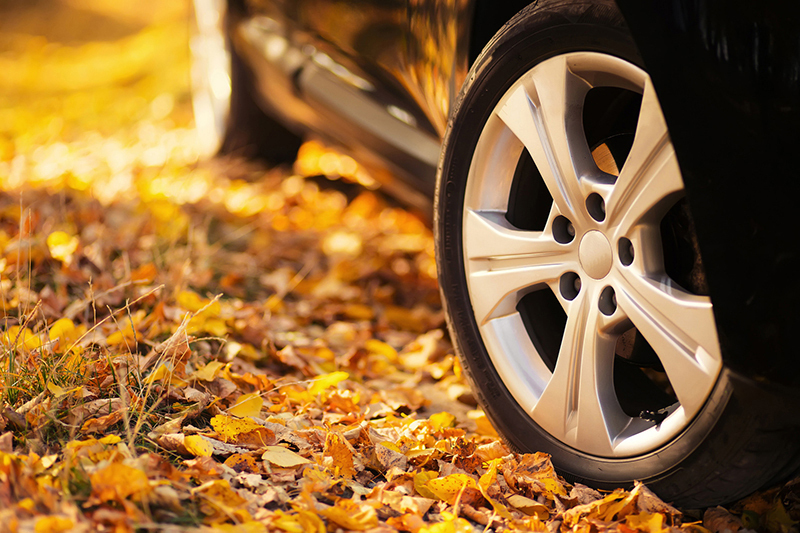 It’s time to wave goodbye to summer, and welcome in autumn with a refresh of your car insurance. Now that fall is upon us, we’re welcoming in shorter days, cooler nights, and falling leaves. As we wave goodbye to summer and say hello to fall, drivers also face a new set of challenges in all parts of the country. Along with the crisp air, now is the time to refresh your auto insurance to ensure that you stay safe all throughout the season. Additionally, with these tips for routine fall care and safe driving, you can weather the autumn roads! Picture yourself on the side of the road with a flat tire, dead battery, or failed brakes that cause you to bump into a wall. Throw in a little autumn rain storm to add to the misery! You’ll be wishing that you did a little routine fall maintenance when you’ve landed yourself into this pickle. Check the battery and charging system. Examine your tires for damage and ensure that the spare is in the trunk. Secure your brake linings, rotors, and drums, inspecting for wear and tear. Change the air filters of your HVAC systems. Check the windshield wiper blades. They should be replaced every six months. The autumn leaves and drizzling rain create a slippery surface on the road. Take care when you’re driving in areas with lots of bare trees and always slow down if you come to debris in the middle of the road. Fall is deer mating season, so the likelihood of you meeting a deer increases now. Slow down during dusk and dawn, when the deer are most active, and always drive slowly on country roads. Fortunately, when you’re involved in a disaster, your car insurance can step in to help cover the finances. Now is the time to review your coverage to make sure that you’re protected for the season ahead! To get the right coverage for autumn and beyond, contact the professionals at Abbate Insurance, serving New Haven and neighboring cities of Connecticut. Tags: Is Your Auto Insurance Updated for Fall?